iTunes Remote is the best way to control iTunes from anywhere in your home. Simply download the app to your iPhone or iPad, and connect directly to iTunes on your Mac or PC. With iTunes Remote you can: Access your iTunes library •	Browse music by artist, albums, and songs •	Browse movies, TV shows, and Podcasts •	Create and edit playlists •	See upcoming songs with Up Next •	Search your entire iTunes library •	Explore shared iTunes libraries Listen with Airplay •	Send music to AirPlay speakers •	Group speakers together to play music in multiple rooms at the same time •	Set the volume on each speaker independently Requirements: •	iPhone, iPad, or iPod touch with iOS 9 or later •	Wi-Fi connection to iTunes on a Mac or PC •	iTunes 12.7.5 or later is recommended for use with iTunes Remote. App constantly crashes after unlocking the phone or switching from background while connected to Apple TV. Looks like QA doesn’t exist in Apple and nobody bothers to verify basic things. However App looks like it was made a decade ago. It badly needs a Dark Mode. Just disgusted...yet another great product gone. Once a symbol of innovation now the icon of greed....it makes me wonder, will their credit card work this well? It’s like they are wrecking this company on purpose. 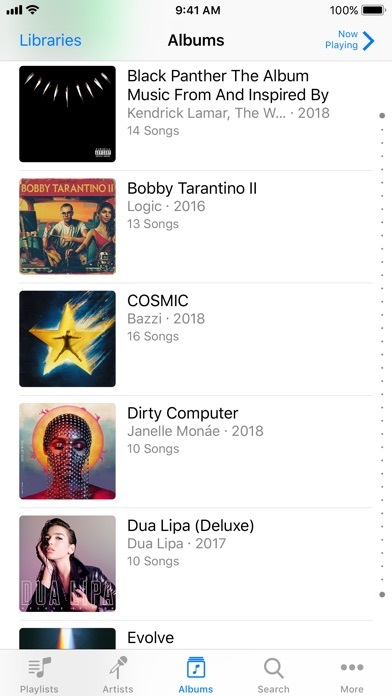 Doesn't show the entire music list but shows about 20 songs... to connect click settings on app on phone then a play button appears on iTunes on the computer on the top left press the play button and enter the code and it will connect. The button disappears and appears only when you try to connect. 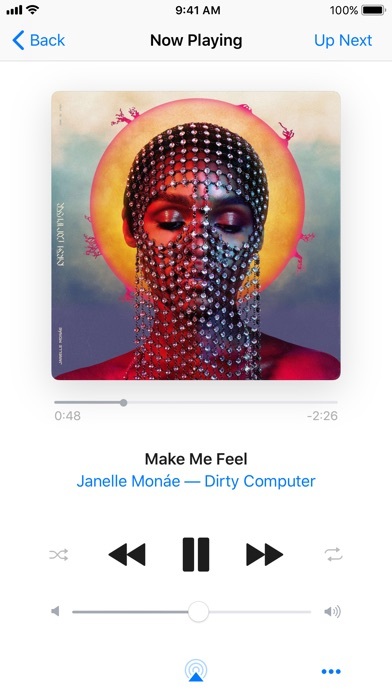 Please update to add the ability to actually control and search Apple Music. I pay $15 a month for a service that I can't control with your remote app. This is truly sad. It would be a 5-star app if the Apple Music functionality was included. Needs modernization, but “Add to Up Next” does the job it’s intended for. As long as you do prior playlist setup in iTunes or use “Add to Up Next” it’s highly effective. Yet, the experience is uncompelling and it doesn’t have to be. 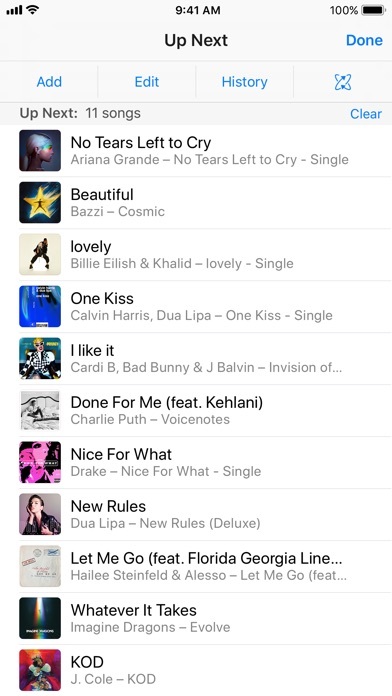 Please add ability to Love/Dislike song. Thanks. It has work but is now basically worthless. When it did work it was an ideal solution but now it apparently lacking updates and constantly loads. It only operates via certain features and searching or adding songs to up next is next to impossible. Unbelievably disappointing from a company that used to be the standard of ecosystem compatibility and interconnectivity. This is not an Apple worthy app. You cannot stream to the Appke TV iTunes Library and add any other room. You can choise the PC library and Bluetooth device in another room. However, the signals can be uneven, so there are 3-4 echoing songs off by .5-4 seconds from room to room. Why is it so hard to play a record in a few rooms of your house using Apple devices and by gosh, accessing ALL your music not just purchased, but Apple Musjc adds we are paying for?? This app will only frustrate.